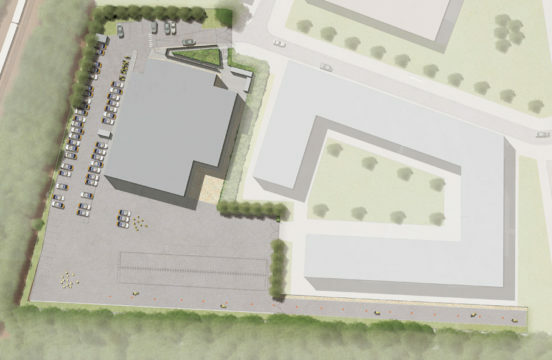 We were appointed by a contractor client as landscape architects on this 2.08ha brownfield site that is to house a dedicated training facility for the Metropolitan Police Driving School. Our landscape architects initially reviewed the planning approved information and prepared a sketch landscape design to the satisfaction of our client and the design team. We then prepared information to satisfy landscape architect ’s Conditions, a full tender and construction packages of landscape architect ’s information. Finally we were responsible for monitoring the on site works at critical stages. The plot is irregular in shape with one long edge to the east boundary. Outside the south and east boundaries are the Northern Line Underground and a Network Rail railway lines. Between these lines and the plot boundary is a significant belt of existing trees, all of which were to be retained. There is an existing fall of approximately 4.5m for the west to the east boundary. 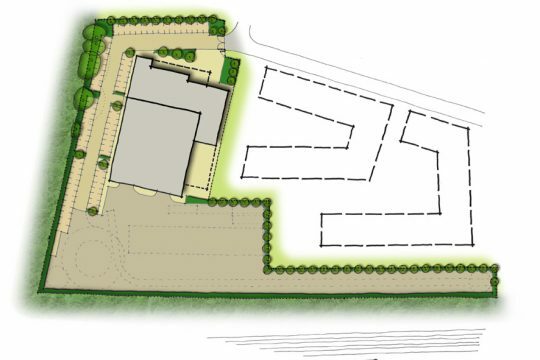 The proposed external works to this development included an appropriate pedestrian entrance zone for the building, staff car parking, a wobble road for motorcycle training, a C1/ D1 training area, a secure line to the perimeter of the site and structural landscape planting. Due to the significant east/ west cross fall, our landscape architects considered the ground levels very carefully from the outset of this project. This helped to minimise the volume of fill that was to be exported from site. The need for retaining structures also formed part of this exercise, along with the need for Part M compliant pedestrian access routes. Our landscape architects considered all existing trees that were to be retained carefully from the early stages of design development. Their continued healthy growth post development was considered an important constraint to the Local Authority.